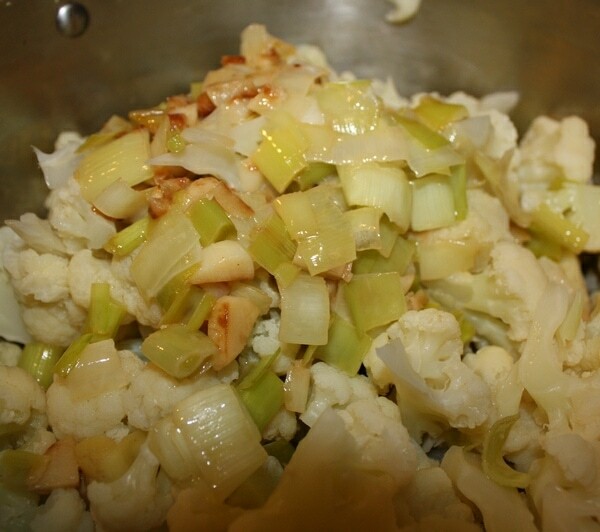 I found this recipe for Cauliflower-Leek Puree inside a Rachael Ray magazine and MAN was it tasty! Dieters… please ignore this post. 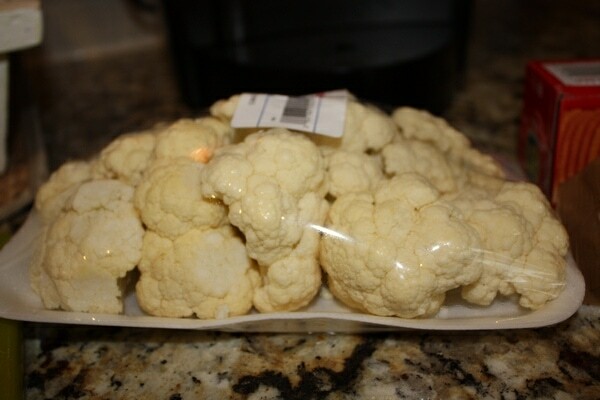 I also want to point out that my local market sells cauliflower pre-chopped. So, I bought it like that. Hey! If I can save a few minutes of aggravation in the kitchen, I’m all for it. 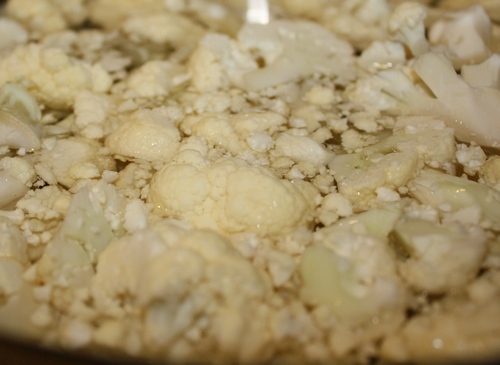 In a large pot of boiling, salted water, cook the cauliflower until very soft, 12 to 15 minutes; drain. Meanwhile, in a medium skillet, melt 3 1/2 tablespoons butter over medium heat. 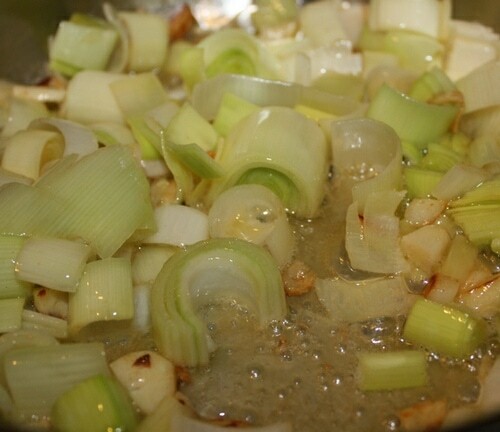 Add the leek and garlic and cook, stirring occasionally, until the leek is translucent and very soft, about 8 minutes. 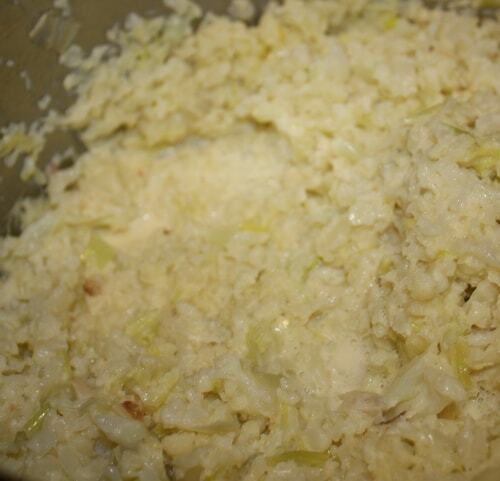 Using a food processor and working in batches, puree the cauliflower and the leek mixture with the cream. — This is what you were supposed to do but I don’t have a food processor…. so first I combined the ingredients and added the cream. THEN I mashed everything to a pulpy form. AND used my MAGIC BULLET to puree everything in batches. LOL! It was insane – but not hard to do. 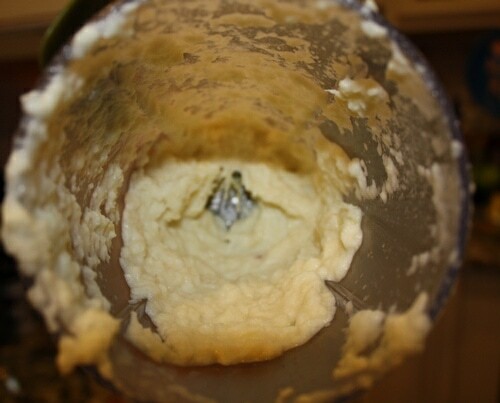 I kept thinking to myself… why don’t I have a food processor? In a small skillet, melt the remaining 1/2 tablespoon butter over medium heat. 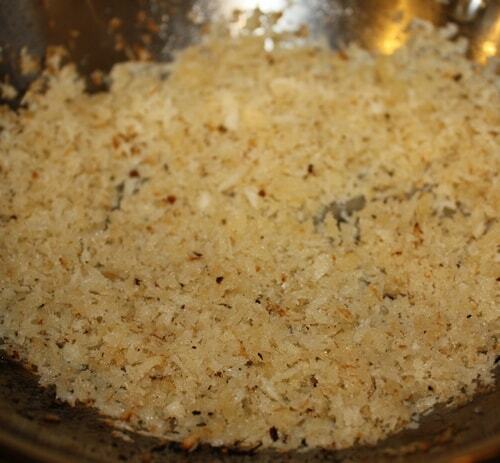 Add the panko and toast, tossing, until golden. 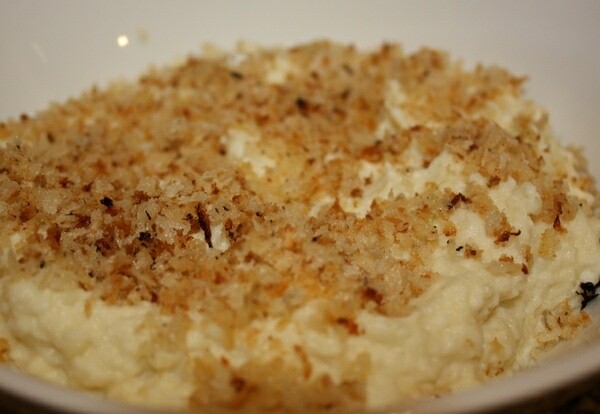 Top the puree with the toasted panko and the parsley. (I don’t like parsley – do I didn’t use it). This recipe is CREAMY and RICH – perfect for Thanksgiving if you want to stay away from too many potatoes. 🙂 My husband really enjoyed the meal – as did I.